I seem to have a peculiar problem in Windows. So let's get straight to the point, A few days back i've attempted to copy a 10GB folder between my desktop and an external hard drive. When I copied the source folder and pasted it onto the destination, I felt something was fishy as the copying dialog box displaying the progress of the transfer was absent. 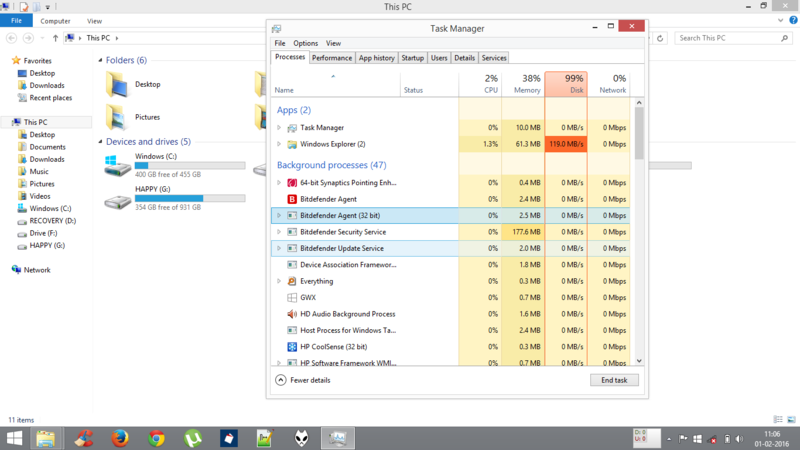 I fired up the task manager and noticed high disk activity(maxed out). After waiting for a while, I browsed to the destination location and found that the folder to be copied on to the external hard drive was actually there as it should, indicating the folder has been copied successfully. So what might be the problem assuming that I haven't tweaked the system in any way which can conflict with the operation?. Note: This happens for any copying operations in my system. I just don't see them anymore. Awaiting your responses. Browse other questions tagged windows windows-explorer filesystems file-transfer copy-paste or ask your own question. Ubuntu file copy fake success? Can file copy failures be caused by file content? What happens if you delete a file while it was moving from one filesystem(ext4) to another(NTFS)?